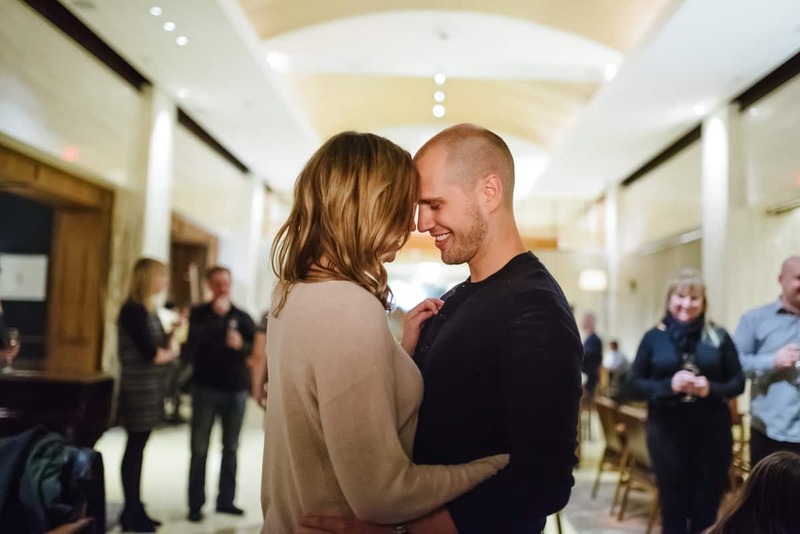 When Andrew first contacted me from Florida asking me to photograph his proposal he already knew that it had to take place in Boston, because Katie is from here and having it happen in the city would bring it even closer to her heart. Plan A was to go to the Frog Pond in the Boston Commons. 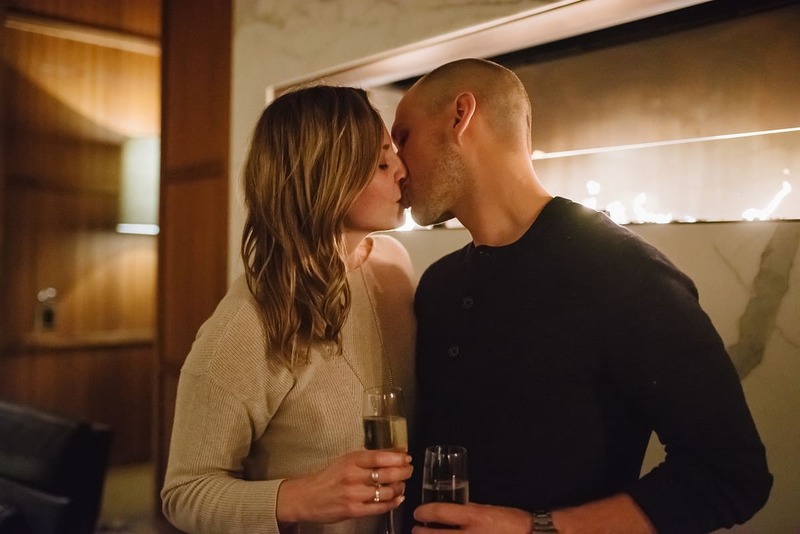 The couple would skate around for a while, an announcement would be made and he would drop down on one knee before his girlfriend Katie even suspected anything was happening. As the chosen Friday approached it looked like the January weather was going to be a problem, though. Rain was on the forecast and Plan B had to come into view quickly! 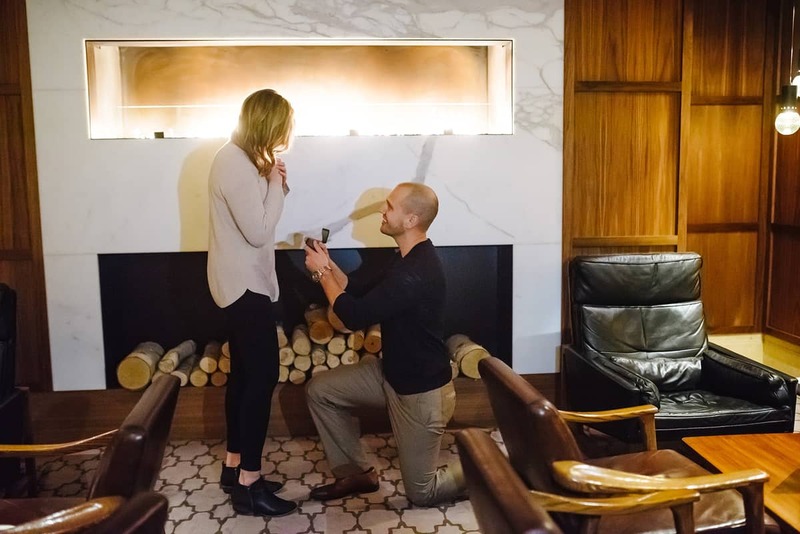 Luckily, Andrew came prepared and the proposal was relocated to the magnificent Ritz-Carlton in Downtown Boston. While waiting for them to arrive, we made sure the reserved area of the bar and lobby stayed empty. 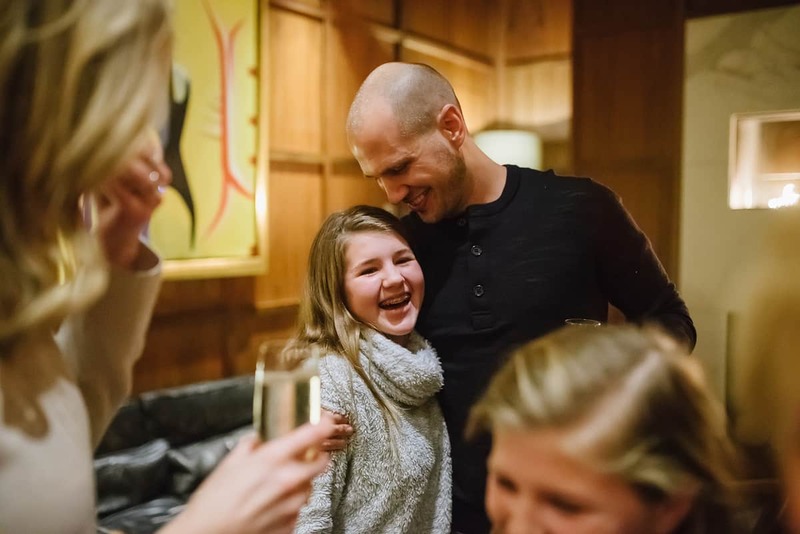 It wasn’t going to be a small proposal since a lot of family members had been invited to witness the event. 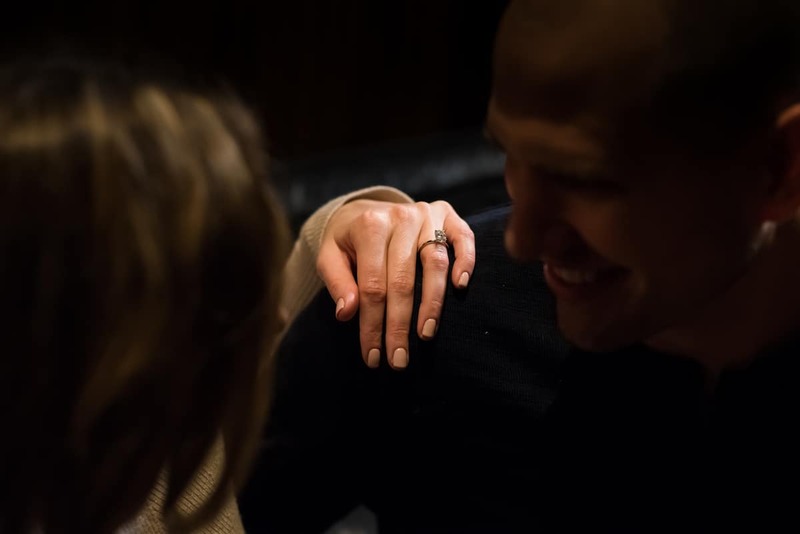 After everyone had arrived, Andrew popped the question in front of the fireplace. Katie was laughing and smiling like crazy and I’m so glad to have been able to take part in this special moment. There was lots of clapping and hugging and looking at the gorgeous ring. The rainy day was the coziest it could have been!